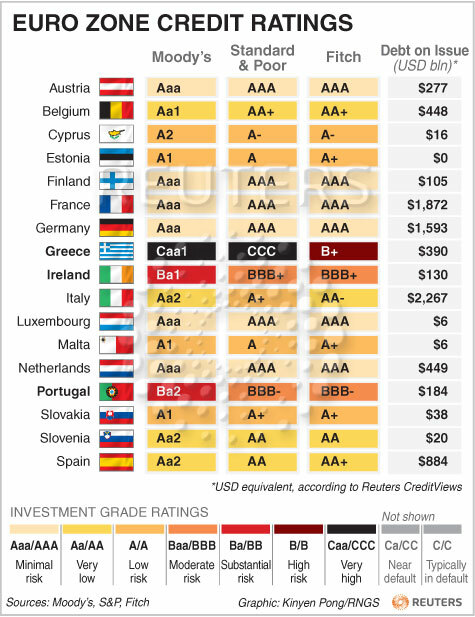 In the wake of the twin crises of Eurozone economy and U.S. debt ceiling, the concept of credit rating has come into sharp focus. This week's The Explainer features a Q&A on credit rating. Any form of debt (i.e. money borrowed) has to be repaid. So before you lend money, you would like to perform a background check on the borrower’s repayment capacity, i.e. ability and willingness to repay the debt. In other words, this background check is used to test the creditworthiness of the borrower. Name some famous Credit Rating Agencies. 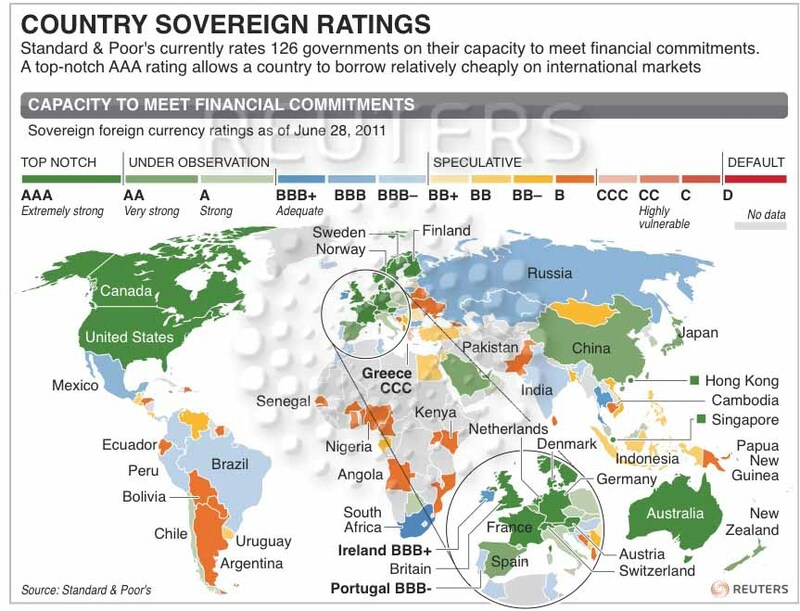 Globally, there are three famous credit rating agencies: Standard & Poor’s (S&P), Moody’s, and Fitch. ICRA, CRISIL, and CARE are some of the credit rating agencies in India. On what basis is Credit Rating assigned? These agencies assign ratings to issuers of debt, such as companies and governments. To arrive at a credit rating, the agencies evaluate not only current and historical information but also assess the potential impact of foreseeable future events on the borrower’s capacity to repay the debt. While assigning a credit rating to a country (like India), the focus is on political stability, monetary stability, impact of global events on the country’s economic and political stability, and overall debt burden. When it comes to rating a company for its creditworthiness, the factors taken into consideration are: company’s past and current performance, industry profile, company’s position in the industry and how does it compare with its competitors in the industry, revenue model and cash flow, projected earnings, current debt load, corporate governance, and accounting practices. If a country or company has AAA rating, what does it mean? The AAA (triple A) rating is the highest possible rating that can be given to a country or company. S&P says that it gives AAA when there is an “extremely strong capacity to meet financial commitments” and is the least likely to default on its debt payments. The major benefit of AAA rating is that it helps a country or company borrow at low rates of interest. This is because lenders know that lending to such a borrower comes with low risk as it would almost not default. 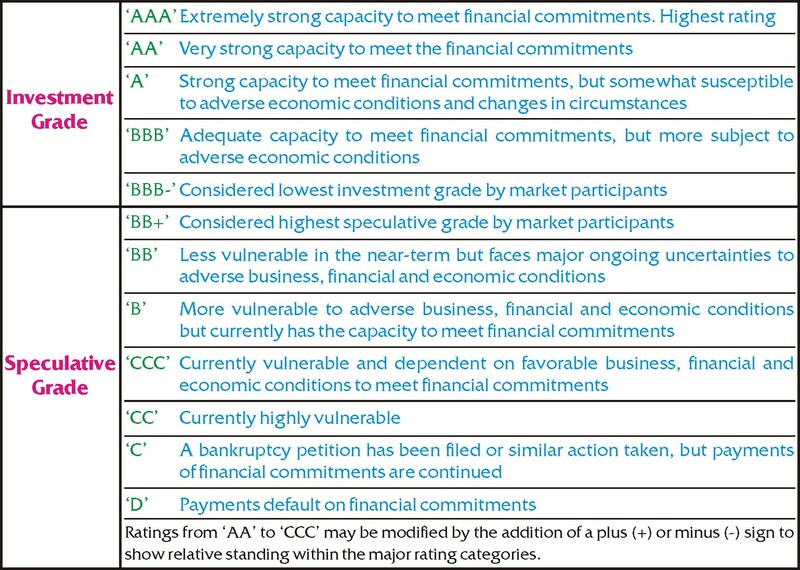 Credit ratings reflect relative opinions about the creditworthiness of a borrower, from the strongest (AAA) to weakest (D). For example, a company or country that is rated 'A' is only less likely to default on a debt payment than a country or company with a 'BBB-' rating. It is not that it will not default, but only that the possibility of a default is less likely than those rated below it. Also, note that different credit rating agencies may assign different credit rating depending on its analysis of the company or country's situation. As you can deduce from the last graphic, Greece is on the verge of a default while Portugal runs a substantial risk of default. 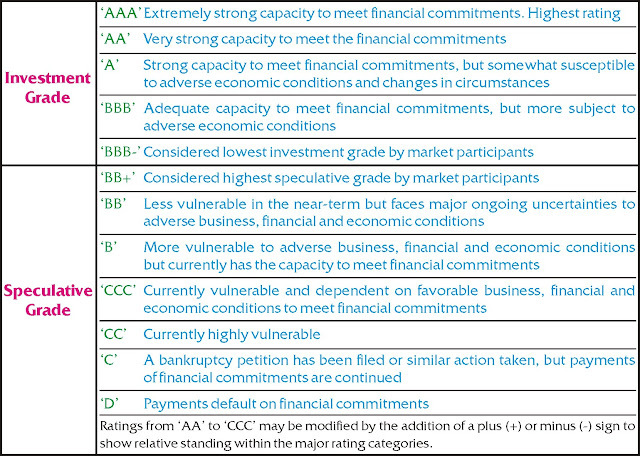 For want of space, I will share only a short backgrounder behind the credit rating assigned to Greece. Just look at Greece's financial condition: its external debt is at U.S.$380 billion, which is 142% of its GDP! Its economy is not doing well; in fact, its GDP contracted by 10.2% last year (i.e. its GDP fell below previous year's amount). Some of its debt was due for payment; however, it does not enough money to pay back the huge debt it has accumulated over the years. Hence it had needed bailouts (emergency funds) to overcome the debt payment crisis. In fact, you could apply, more or less, the same reasons for both Ireland and Portugal. I know this was a difficult topic to deal with; but I am sure that since I have used pretty little jargon, you will understand most of this complex stuff. Labels: Business, Economics, Europe, Indian Economy, Infographic, International, The Explainer, U.S.
1)Will countries which is in the verge of a default( say US) get less debts than a country like India? and where do the countries borrow from? very informative post sir.I have a small doubt.Now the credit rating of US is AA+ . Its not so bad.But relatively its bad than its previous performance.Does it mean US is on verge of DEFAULT? @Swetha, the U.S. is not on the verge of default; in fact, it is impossible, given the structure of its economy, that it will ever default on its debt payments. An "AA+" rating is defined by S&P as follows: "An obligation rated 'AA' differs from the highest-rated obligations only to a small degree. The obligor's capacity to meet its financial commitment on the obligation is very strong." @srujan GDP is the value of the total goods and services produced by a country in a financial year. GDP growth is measured generally interms of percentages,for example the GDP growth of india is around 8.5% which means that the value of goods and services produced by india in the current financial year is 8.5% more than the value of goods and services produced in the previous year.the GDP growth rate of US is around 2%.if the GDP growth rate of a country is good then its economy is said to be performing good. if the GDP growth rate of a country is negative for a certain financial year then it is said to be in recession.for example the growth rate of greece is around -2% to -4% for the past two to three years.if the country is in recession then the institution's in the country which are underperforming requires bailout.Bailout is a package or a certain sum of money given to the under performing institutions of the country by their respective governments. 1. Countries borrow from IMF and world bank. Also, they borrow through bonds(Please read Bharat Sir's explainer on Bond for details). 2. That is because of the simple reason of borrowing. The authorities(IMF, World bank) are less inclined to lend in case of low rating, so higher the rate of interest and higher the financial liability. Ha ha ha... I have not observed this! I do not moderate any comment, so you can post any comment; after all, you are anonymous.